Bula fellow car enthusiasts and warm greetings to you all. This year is an exciting year for the Fiji Car Club and these are some of our upcoming events. Pacific Energy quarter mile drag race marshal signals the start of one of the races last month. Photo: Pacific Energy. Bula fellow car enthusiasts and warm greetings to you all. This year is an exciting year for the Fiji Car Club and these are some of our upcoming events. I am excited to announce that the Fiji Car Club executives have now confirmed a date for the FCC 2017 annual awards night. It is on February 17, 2018. This is the fourth time we will be hosting the awards night. The awards night is to honour our race car drivers for their efforts and dedication towards the Pacific Energy Quarter Mile drag race series last year. The overall winner of the Pacific Energy Quarter Mile Drag race in the previous awards was Hitesh Pala. The annual award night will be truly a magical night as it will be based on the number of events that a driver has raced in and also the number of times a driver has won his or her categories. It is not necessary the person who has won the most overall in the drags to be winning the overall series. However, the Fiji Car Club has a separate award for the fastest car last year and we have also decided to award those drivers who have consistently participated. In next week’s edition, we will disclose all the categories for the awards night. Meanwhile the Fiji Car Club has also confirmed the number of events it will host this year – there is going to be 12 events. First we will start with the new membership drive; we welcome all car enthusiasts and interested drivers to join the club. 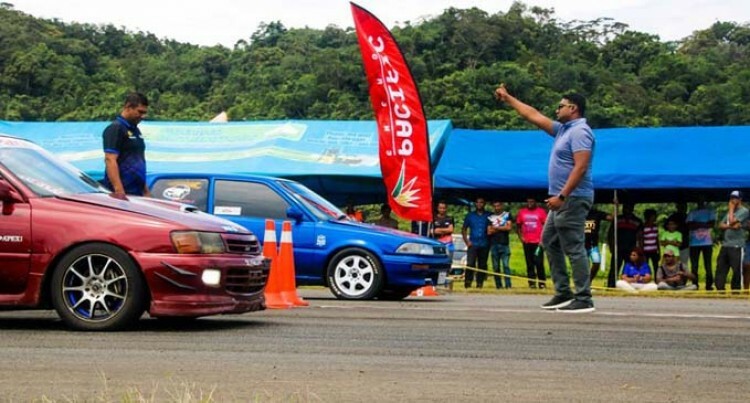 Exact dates for the Fiji Car Club events will be released at the end of this month, however, the first event or car race is pencilled in for early March. This year will also see the return of top guns in the car racing house; they are Ravin Nath, Saten Prasad and Amal Singh to mention three. That’s all for this week. Untill we meet again, please drive safely. nRaizal Haniff is the President of the Fiji Car Club. This is FCC’s regular feature in our Sun Wheels to keep readers updated on the latest from the Fiji Car Club.